Injuries received: Shot twice. Reportedly through the lung, arm and abdomen. Outcome: Recovered from injuries ( aged 30 ) In Hospital about 3 weeks. CHARGES arising out of the fatal shooting affray at the Highett railway station on November 25 were heard at Cheltenham Court on December 28. Harry Quong. a Chinese, was charged with having shot Constable Coe on November 25. with intent to kill him: with having broken into and entered the house of James Dickman in Highett Road, Highett. on the same date, and having stolen property valued at £50 ; and with having broken into and entered the house of Frederick Thornton, in Glen Iris Road. Camberwell, on November 7 and having stolen property valued at £125. Sub-Inspector Brophy prosecuted, and Quong, who was undefended, asked no questions. He remained impassive throughout the hearing. Norah Thompson, of Worthing Road. Highett, said that about 12.30 p.m. on November 25, she saw two men, one wearing an overcoat, go to Dickman’s house. After having knocked at the front and back doors, the men forced the front window up, and one man. wearing a dark suit, climbed through. Mrs Thompson then went to a dairy in Highett Road, owned by Frederick Snelling, and told Snelling to ring the police. Refusing a chair in the witness-box, Constable Christopher Alexander John Coe said that when he received the message he went to Claud Dunn’s garage in Point Nepean Road, Highett. Dunn drove him to the Highett station. “When I arrived at the station,” said Coe. “I walked along the platform to where Quong and the other man, whose name is Moulynox, were sitting, and asked them to come to the office. I told them I had a revolver, and followed them in. “I realised that he had a gun and released Quong and turned to Moulynox. At this instant Moulynox fired, and I felt a stinging pain in my chest. I rushed at him and grabbed his right hand, thrusting the gun in the air. ‘While I was grappling at him three shots were fired from the direction of Quong. I felt a pain in my right hip and other pains. “I continued to wrestle with Moulynox, who seemed to be trying to force me to the door. We struggled through the door into the booking office. “Moulynox was striking me on the head with the side of his gun but I managed to pull the gun down past my face. I fastened my teeth into his hand and he dropped the gun to the floor near my right hand. “I had let my right hand go by this time, as it was weakening. “As he broke the grip of my left hand, I fired point blank at him with the nickelplated gun he had used before. He then struggled to his feet, and hung on to the ledge at the window. He called out and sank to the floor. At that time I was almost on my knees on the floor. “I took out the loaded automatic I brought from the police station and handed it to Dunn, telling him to cover Moulynox as he might have been shamming. Leopold Martin Hunt, stationmaster, told the Court that he had seen Moulynox shoot Coe once, and when Coe was grappling with Moulynox Quong fired three shots. Quong then dropped the gun and ran out of the office. Hunt followed Quong but he had to attend to an incoming train. He saw Quong run out of the ticket gate and down the road. When the detectives arrived Moulynox was dead. The accused was committed for trial. 20 YEARS IN GAOL SENTENCES OF CHINESE. FOR WOUNDING POLICEMAN. Shooting at Highett Station. Describing his record of crime as “appalling. ” Mr. Justice Mann in the Criminal Court yesterday, sentenced Harry Quong, a Chinese, aged 44 years, of Mary street, Brunswick to terms of imprisonment totalling 20 years. Quong was captured after a struggle in an office at Highett railway station on November 25, when Constable Coe though seriously wounded grappled with one of his two assailants and shot him dead. Quong, was charged with having shot Christopher Alexander John Coe with intent to murder him; alternatively, with having wounded Constable Coe with intent to do grievous bodily harm or with intent to resist lawful apprehension; and with having broken into the dwelling of James Duckman in Highett road, Highett, on November 25, and stolen jewellery and other articles. The Crown case was that while being questioned about at the Highett railway station about a housebreaking, Quong and Arthur Herbert Moulynox of Victoria street Flemington, attacked Constable Coe. Moulynox shot him through the chest and it was alleged that Quong fired three shots. In evidence yesterday Quong said that on November 25 he went to Highett with Moulynox, who said that he wished to see a Mr. Kelly who had some property for him. They reached a house which Moulynox said was Kelly’s place. Moulynox took a jemmy from a paper parcel and told Quong, to keep watch. Later Moulynox returned, and at the railway station gave him some jewellery to mind. Then Constable Coe arrived and told them to go with him to the stationmaster’s office. Coe asked Quong, what he had in his pocket and when Quong replied “Nothing,” Coe tried to seize his hand. As Coe turned toward Moulynox a shot was fired. Coe seized Moulynox‘s arm and more shots were fired. Quong then ran away and hid in a drain until the police found him. Cross examined by Mr. C. H. Book ( prosecutor for the Crown ), Quong, said that he had been in Australia for 40 years. He knew that Moulynox was housebreaking when he used the jemmy and that the jewellery had been stolen. Coe was a truthful witness. Quong was found not guilty of wounding with intent to murder but guilty of the alternative count of wounding with intent to do grievous bodily harm. He was also found guilty on the charge of housebreaking. He admitted to previous convictions between 1911 and 1931 in New South Wales, Victoria, Western Australia and Tasmania. The terms of imprisonment imposed in respect of those convictions totalled more than 16 years. Mr. Justice Mann sentenced Quong to imprisonment for five years on the charge of housebreaking. He said that Quong had been convicted of having shot a constable who was doing his duty. Quong had an appalling record of crime. It seemed right to inflict the maximum penalty of imprisonment for 15 years with hard labour on the count of shooting with intent to do grievous bodily harm, the two sentences to be cumulative. Mr. Doyle ( instructed by Mr. F. O’Brien ) appeared for Quong. Mr Justice Mann in the Criminal Court on Tuesday sentenced Harry Quong, a Chinese, aged 44 Years, of Mary Street, Brunswick, to five years imprisonment on a charge of having broken into the house of James Dickman, of Highett road, Highett, and to 15 years‘ imprisonment on a charge of having at Highett wounded Christopher Alexander John Coe, a constable of police, with intent to do grievous bodily harm. Mr. Justice Mann did not direct that the sentences should be concurrent, and under section 21 of the Goals Act 1928 it is provided that in such cases the sentences are cumulative. That meant that Quong would have to serve 20 years’ imprisonment. Yesterday, however, Mr. Justice Mann told Mr. C. H. Book, the Crown prosecutor, that the sentences would be concurrent. In ordinary circumstances, therefore, Quong will serve 15 years. In recognition of the bravery which he displayed during a shooting affray with thieves at the Highett railway station on November 26. Constable Christopher Coe of Cheltenham was presented with an inscribed rosewood clock by the Chief Commissioner of Police ( Major-General Blamey ), at the Russell street police station this morning. The clock was the gift of Mr. H. L. Penfold Hyland, of South Australia, who gives a trophy each year for the most meritorious act by a member of the South Australian Police Force. He thought Constable Coe’s act so gallant that he decided to give a trophy in Victoria for last year. Constable Christopher Coe, 31, has been awarded the King’s Medal for conspicuous bravery at Highett railway station on November 25. 1932. Coe is the first Victorian policeman to receive the award, which is termed the police V.C. The announcement was made in a cable received by the Lieutenant-Governor from the Secretary of State for the Dominions. Coe was questioning the two men about a robbery in the district when one, a Chinese, attempted to get away. The constable grappled with him, and while they were struggling the other man shot Coe m the back. Coe turned on the gunman, and was hit by two more bullets. He wrested the pistol from his assailant and shot him dead. The constable then collapsed. For many months Coe was in a serious condition in Alfred Hospital. On his return to duty four months ago he was transferred to the motor cycle patrol branch. In recognition of his bravery in an encounter with two desperate criminals at the Highett railway station in November, 1932, Constable Christopher Coe was presented yesterday by His Excellency the Lieutenant-Governor ( Sir William Irvine ) with the King’s Police Medal. The presentation was made at a special parade at the police depot St Kilda road. This was the first time that the medal which is the highest award for bravery and devotion to duty in the police force has been awarded in Victoria. Constable Coe when summoned to Highett railway station, detained and questioned two men one a Chinese who had been seen breaking into a house. When Constable Coe grappled with the Chinese, who attempted to escape, the other man shot Coe from behind. Although severely wounded Coe closed with the second man, who knocked him down. The Chinese then shot Coe in the abdomen and the arm. As the second man attempted to pick up his revolver, Coe wrested it from him and shot him dead. Constable Coe then fell unconscious. The Chinese later was sentenced to a long term of imprisonment. Addressing the parade, Sir William Irvine said that on the eve of relinquishing the office of Lieutenant-Governor, he desired to convey to the police force his warm appreciation of its undoubted loyalty and courteous efficient service. Later a physical culture display was held and musical items were given by the police band. Christopher Alexander John Coe, of Lonsdale St, Melbourne, is mentioned as a ‘private investigator’. Is confirmed as the same person as mentioned in this memorial. A Sydney divorce of interest is that of Amy Featherstone, who accompanied crippled Marjorie Lawrence as masseuse on her 1944 visit to the US.. Her husband, masseur Leslie McLean Featherstone, proved she’d misconducted herself with an unidentified man in a St. Kilda ( Melbourne ) flat last year. An AIF man, Featherstone was then stationed at Tidworth. There were 8 children of the marriage. 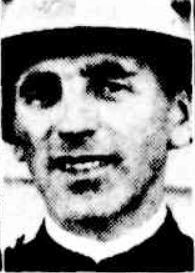 His evidence of misconduct was supported by Melbourne inquiry agent Christopher Coe, who was Victoria’s first policeman to win the King’s Medal for exemplary courage. He got it for disarming a Chinese housebreaker after being badly wounded. Christopher Coe was Victorian State Manager of Tubular Steel Industries in the 1950’s. I was then working for TSI – an Adelaide manufacturer of chrome tube furniture. I was Marketing Manager and spent from Feb to November 1958 with Chris at their office and assembly plant in Footscray. I cannot remember the name of the street but the office was behind the Coe home. I think he may have retired in 1959 or 1960 – not too sure. He was a character and we all enjoyed his company. I was told by the Mng Director of TSI of Chris’s bravery in the incident at Highett so I know it is the same person about whom you enquire.